SKU: VBM-401. 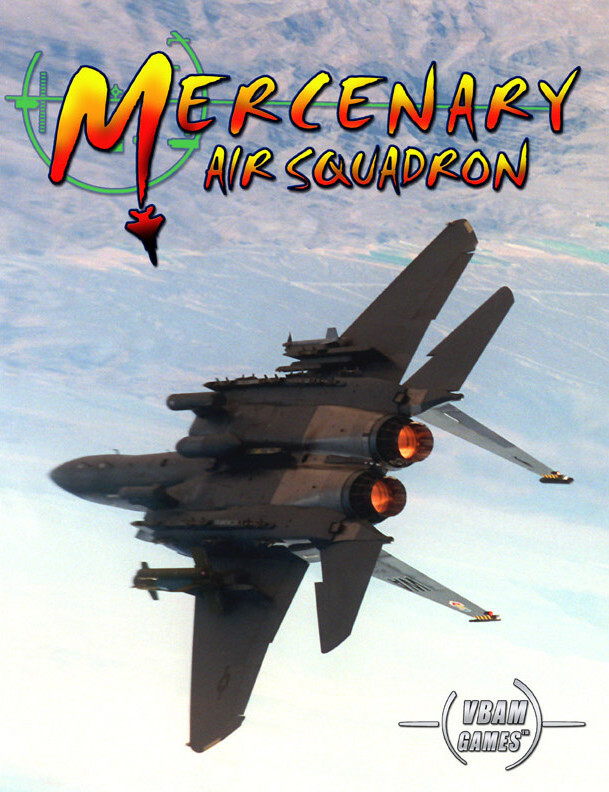 Category: Mercenary Air Squadron. Tags: fighters, missions, pilot, planes. The Battle For the Skies Has Begun! As the year 2015 came to a close it was clear the world was in for a new trend in warfare. Instead of fighting wars with their own conventional forces, nations found it easier to pass the burden of conflict along to private contractors. They could be expensive, but a mercenary force was less politically liable than a country – and more expendable. The best survived and went on to glory and profit. The most famous and sought after of these mercenaries are the mercenary “pilots of fortune” that rule the skies. 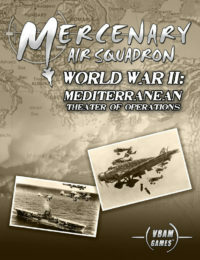 The leader of a Mercenary Air Squadron has many responsibilities. The fortunes of his or her firm depend on taking the right jobs, outfitting the right equipment, and keeping the squadron’s birds flying. These mercenaries know no loyalties except to their squadron mates. A contract is a contract, and if fulfilling that contract means going head-to-head against a former employer then that is simply a consequence of doing business in a violent world. Nothing is personal, except for rivalries amongst mercenary squadrons, which tend to lead to heated exchanges beyond that specified in a contract. Your prestige and fortune are at stake. Pilots, man your planes and your pocketbooks! 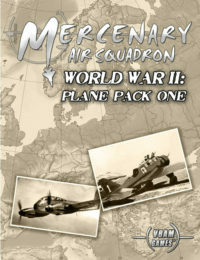 Be the first to review “Mercenary Air Squadron” Click here to cancel reply.